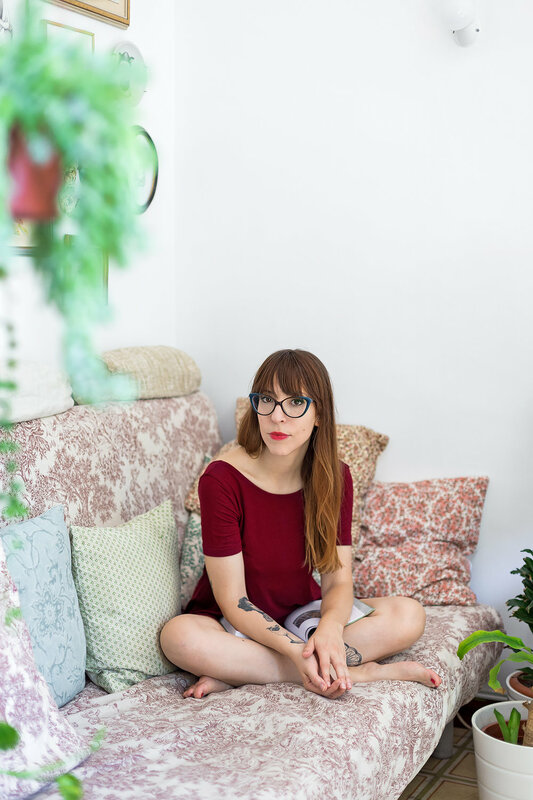 Laura is an illustrator living in the Sant Antoni neighborhood of Barcelona. She studied fine art, specializing in painting as well as interior and graphic design. After 4 years of working in an architectural study program, she decided to leave it all to draw. Her romantic lines evoke past times as her nostalgic imagery speaks towards the present. 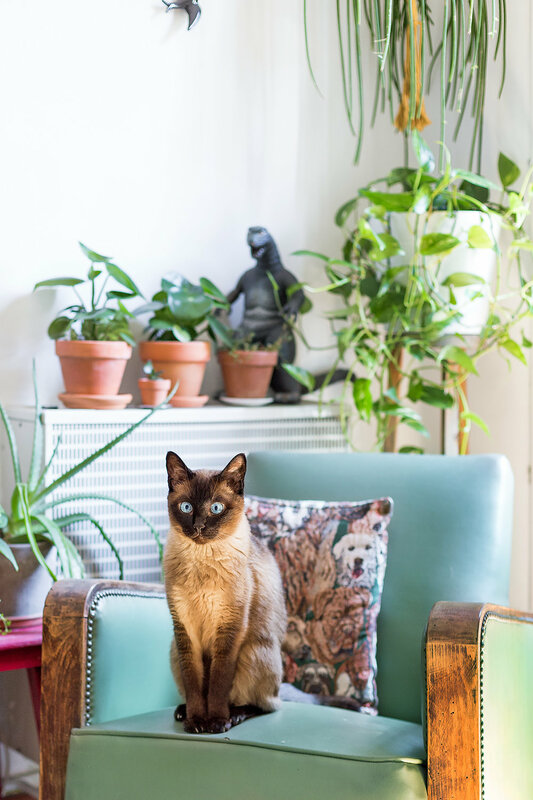 She is passionate about plants and animals, and it’s reflected in her house and her work. Check out more of her beautiful work on her instagram, or facebook. The Internet and social networks were key in my decision to leave my job as an interior designer to devote myself completely to drawing. I started to draw because I was very stressed with my work and needed to create something to distract the mind. The response that my drawings had on social networks was so good and a push to take a chance. I have met wonderful people who have helped me a lot, and I have real friends that I have met through instagram, so I am very grateful. I receive many requests through facebook and instagram for custom commissions and drawings for tattoos but also larger projects for corporate brands. When I do commissions for people, many times I’m working from the photos they provide me. Many times they are of their own pets or themselves. If I have to draw animals I use images from the internet, sometimes I use my own pets as models. I love buying plants and flowers and drawing them. It is always much more exciting to draw things out of reality than working from internet images, although I also love using the old illustrations by Pierre-Joseph Redouté as references. The line between inspiration and infringement is separated with respect and humility, as easy as naming the source of inspiration makes you look at that work in one way or another. I found copies of my work on T-shirts in other countries and it made me very angry because it's so complicated to do anything about it. When people are inspired by my work I find it very nice and I publish their version, I think that if people copy you it’s because you are on the right track, but there are times when it is done without giving credit. This really used to upset me, but now I try not to let it get to me. An illustrator friend recommended that I save all the images based on my work, and that's what I do. My advice for aspiring artists is to try to find your own style, you need to move your personality to what you are doing and be consistent. It is very important to meet people and make collaborations, it is very enriching and you learn a lot. Be very humble and honest with yourself and with people. I'm in love with Freunde Von Freunden and Design Sponge. And of course here’s mine. 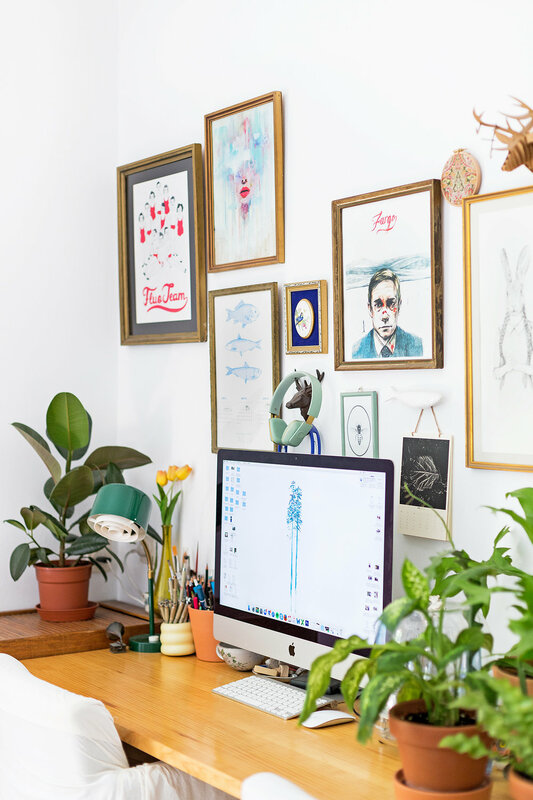 On instragram I love the account of my partner, I admire his illustrations (@jerjesllopis), also friends like @paulabonet, @mariahesse and my favorites are the plants from @urbanjungleblog or @pistilsnursery. I am a big fan of the decoration and the nice houses of @finelittleday.